Once in a while a new solution to improve or save human lives thanks to Additive Manufacturing pops up. 3D technologies are widely used in the medical world. 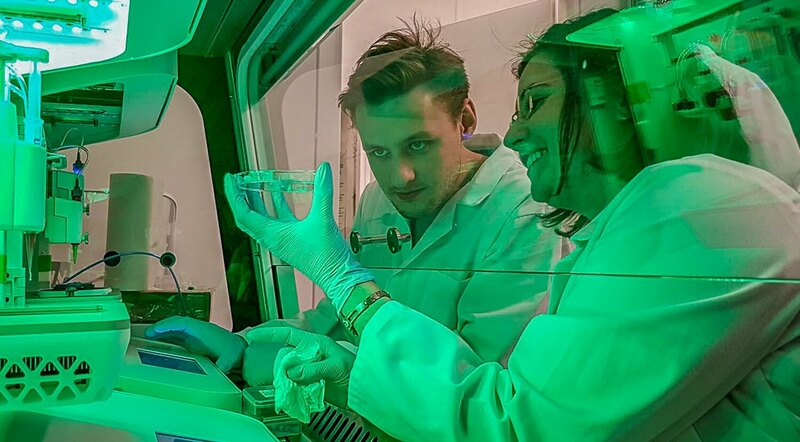 We now have the possibility to use 3D scanning to treat diseases at an earlier stage, we can test drugs on 3D printed skin, and even 3D print organs. But that’s not the end, there is still so much more to discover about Additive Manufacturing! What’s the next project? This is a revolutionary breakthrough in the medical world. 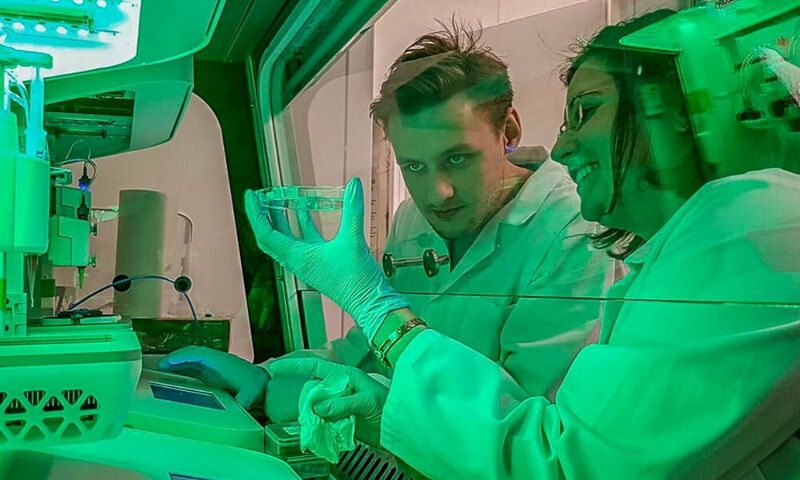 Scientists from the Foundation for Research and Science Development in Poland 3D printed the first ever bionic pancreas. This is especially interesting for treating diabetes. Dr. Wszoła explained that a healthy pancreas makes juice to help with digestion and produces glucagon and insulin. People with diabetes can’t produce those hormones and properly digest sugar. Currently, the solutions are limited, a diabetic person has to have an insulin pump attached to their body at all times or give themselves regular shots and measure their blood sugar every 2 hours. Pancreas transplants and insulin therapies are possible but they carry a lot of risks such as post-surgical complications and it’s no surprise that there is also the issue of organ shortage. Why 3D print a bionic pancreas? The phenomena of this bionic pancreas is that it has blood vessels and is produced with the patient’s own cells, which limits the risk of rejecting the organ. Although the bionic pancreas wouldn’t completely substitute the organ yet, it could restore insulin production. 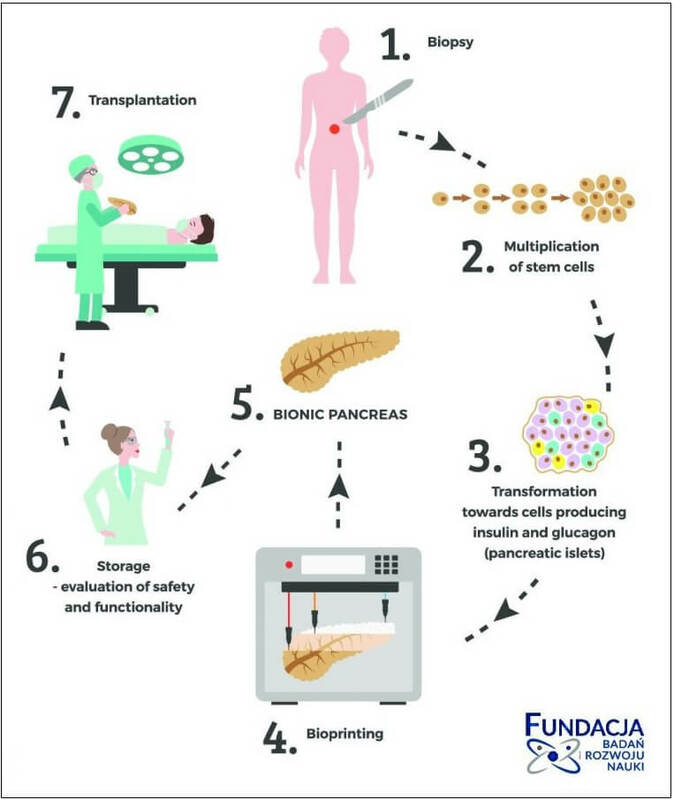 Through the research, the scientists came up with a mixture of pancreatic islets from animals and bio-inks which supported the 3D printed cells. One syringe of the 3D printer displays the mixture and the other one creates blood vessels. Dr. Wiszola comments on this amazing development: “No one has yet founded a solid organ with full vascularisation”. Thanks to 3D printing we will have a future of no more waiting lists for organs. We will be able to 3D scan the patient, quickly create a 3D model which is highly customized and personalized just for the patient’s organ, this can then be 3D printed with his own tissue limiting rejection risks. Additive Manufacturing enables absolutely new solutions. A bionic pancreas and other organs can be produced in no time, 3D printers can be set in hospitals or can be mobile to treat those injured in the field. Doctors are just discovering the limitless possibilities 3D printing can give them. What is the future of bionic pancreas? Soon this month the bionic pancreas will be tested on mice to examine how the organ performs in a living organism and in October it will be tested on pigs. This is definitely a huge step in the direction of curing diabetes, an illness affecting 415 million people worldwide. Additive Manufacturing can bring the solution to their everyday struggle, and hopefully soon, new organs will be 3D printed in no time and surgeries will be almost risk-free. 3D printing is not only used in the medical world. Have you heard about 3D printed prosthetics or sports equipment for Paralympic athletes? They are already improving their production with highly customized products. It’s time for you to make that step. It is as simple as uploading your file to our online 3D printing service or contacting our sales office to advise you on the best solutions for your production. Don’t forget to sign up to our Newsletter and follow us on Facebook for the best 3D printing News!